Gone is the beach volleyball off-season: the FIVB has announced that the 2018-2019 season will start just 4 days after the completion of the 2017-2018 season. Last season marked a turn in the FIVB beach volleyball scheduling, where instead of waiting until February or March to start the new season, it instead began in September, about 2 weeks after the World Tour Finals from the season prior: the high-dollar championship event for the top 12 men’s and top 12 women’s pairs. This year, that gap will shrink to just 4 days, less than a week, before the new season begins. The CEV, the European federation, announced the first 4 stops of the tournament on Thursday. They say that events in Panama City, Panama (September 6-9), Zhongwei, China (September 13-16), and in Iran in Bandar Torkaman (October 2-5), Babolsar (October 9-12) and Bandar-e Anzali (October 16-19) are still under negotiation and that additional events in the 4-star and 1- and 2-star categories may also be confirmed in the near future. In 2018, 1-star events have guaranteed prize pools of $5,000 per gender, 3-star events have a guaranteed prize pool of $75,000 per gender, and 4-star events like the one in Yangzhou have a guaranteed prize pool of $150,000 per gender.The first 4-star event last year wasn’t until January. Siofok has never hosted an FIVB beach event, though they did host a European tour event last year. 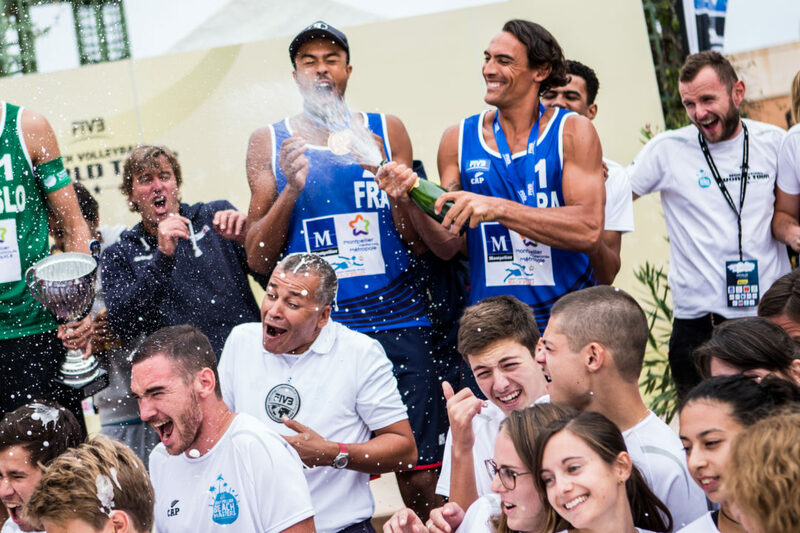 Montpellier hosted a men’s-only stop of the FIVB World Tour in September to start last season. Qinzhou also hosted their first World Tour stop this season, while Yangzhou has never before hosted a major beach volleyball tournament.